Other than its aesthetic appearance, gold plating has many useful characteristics. The first being that it provides excellent corrosion and tarnish resistance. Second, gold plating is a great finish if conductivity is a major concern. 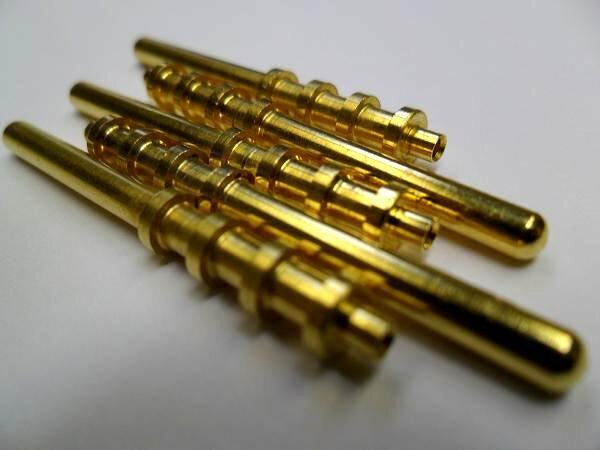 One of the important characteristics of gold plating is that it has an extremely low contact resistance for electricity. Lastly, gold provides a great finish for solderabilty. Del's Plating is your source for gold plating services. Feel free to contact us or give us a call with any questions, concerns, or comments that you may have regarding our industrial gold plating services! Type II: 99.0% gold minimum (Grades B, C, or D).